This week we feature an inquiry from Andrew C of South Africa, prompted by our article Should Genesis be taken literally? in which Russell Grigg discusses the various literary genres found in the Bible. 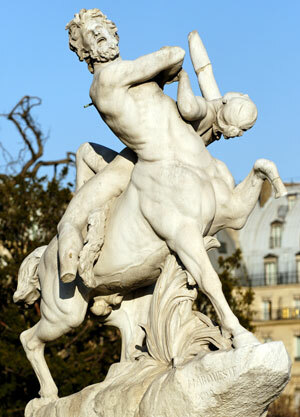 Andrew asks whether we have considered the genre of Myth. Russell Grigg responds. In the introduction of your article, you list types of writing the Bible obviously contains: poetry, parables, prophecy, letters, biography, autobiography and authentic historical facts. You then go on in the body of your article to show that Genesis 1–11 best fits, from your list of possibilities, both autobiography and authentic historical fact. But aren’t you perhaps guilty of limiting the initial options to suit your conclusion? There are many Christians (and I suppose many non-Christians too) who would include Myth in that initial list of possibilities. And by Myth I don’t mean “a meaningless story”, I mean a story blending fact and fiction that serves (and is created/intended to serve) as a vehicle to convey truth. As a writer (and a Christian), I am not at all convinced (as many Scientists are) that the Genesis account was written with the intention of being an accurate scientific account (if any such concept even existed in the culture/worldview of the time). When one looks at the language and style of the opening chapters, they seem to point far more convincingly to the idea of a mythical story than they do to an accurate factual record. This idea isn’t new. (In fact, many would argue that the Modernist scientific worldview with which many Christians today interpret the Bible is far newer.) Among others, CS Lewis was of this opinion, I believe. He was a student of mythology, and not a scientist, though, so his bias would have been in exactly the opposite direction to any you may have. I don’t think a mythical reading of Genesis 1–11 in any way minimizes the truth/message of the story: that we are created by God, in his image, with a purpose and with love, but have distanced ourselves from him by sinning, and now live in a world that is marred by that distance from Him (and more). Nor do I think it betrays the idea that the Bible is “the word of God”, inspired, infallible etc—Each part of the Bible should be read, as best we can, with the attempt to understand the author’s intent/message. A myth conveys a message no less ambiguously to us than does a letter to a church 2000 years ago, and perhaps far more clearly than many an historical account. Such a reading might be more frustrating to Scientists, trained as they are to search for fact, data, observable cause-and-effect, than it would for writers/literature students (especially postmodern ones) accustomed more to the idea of truth-in-context and finding meaning in a story. But is this a possibility you have thoughtfully considered? It might make interpreting Genesis more difficult, especially if one is searching for a scientific account of how the earth began. But perhaps defending the literal account of creation is not the same (nor required for) defending the message of the Bible or the Christian Life? Yes, these are the different categories that the Bible books fit in relationship to what appears most obviously to be the intention of the various authors in writing these books, as expounded in my article Should Genesis be Taken Literally? Today many Christians, churches and theological colleges have rejected belief in Bible history in favour of belief in long ages and theistic evolution, in the mistaken belief that somehow this will make it easier for non-believers to become believers. Nothing could be further from the truth. Such contrary-to-the-Bible teaching does not incline men to faith in God, but to faith in atheistic evolution. It is inappropriate to apply the term ‘myth’ to any part of the Bible. It is true that there are some parts of the Bible that blend fact and fiction, e.g. Nathan’s parable to King David about the rich man who took a poor man’s lamb … (2 Samuel 12:1–7). The historical facts about David, Uriah and Bathsheba are clearly stated, and it is also clear that the parable used by Nathan was a made-up story. However, there is no way this could be described as a myth because the intention of Nathan in telling the story is clear, as is the intention of the writer of 2 Samuel in recording this historical event. We believe that it is equally clear that it was the intention of Moses to write historical facts in Genesis, as we briefly explained here. 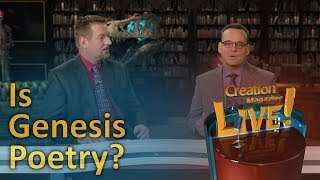 As a writer (and a Christian), I am not at all convinced (as many Scientists are) that the Genesis account was written with the intention of being an accurate scientific account (if any such concept even existed in the culture/worldview of the time). We would not say that the purpose of Genesis was to be a scientific account, but that all of it was meant to be an historical account that was also scientifically accurate, because the author, Moses, was inspired by God (2 Timothy 3:16). See Clause B1 of our Statement of Faith. When one looks at the language and style of the opening chapters, they seem to point far more convincingly to the idea of a mythical story than they do to an accurate factual record. One of the main themes of Genesis is the Sovereignty of God. This is seen in four outstanding events (Creation, the Fall, the Flood, and Babel) and in God’s relationship to eight outstanding people (Adam, Abel, Enoch, Noah, Abraham, Isaac, Jacob and Joseph). There is thus a unifying theme to the whole of Genesis, which fails if any event is mythical or is not true history. Each event reinforces the historicity of all the other events. Adam had a first hand knowledge of God. We could say he ‘walked by sight’! Abel the man of spiritual desire his sacrifice showed his desire for fellowship with God. Enoch the man of spiritual choice he walked with God. Noah the man of spiritual renewal he typified redemption by his passing through the waters. Abraham the life of faith he believed God and it was counted unto him as righteousness. Isaac the life of sonship he was the son of promise; special birth; obtained special bride. Jacob the life of service he wanted the inheritance and tried to ‘help’ God give it to him. Joseph the life of suffering & glory he was granted rule over the flesh and over the world. This idea isn’t new. (In fact, many would argue that the Modernist scientific worldview with which many Christians today interpret the Bible is far newer.) Among others, CS Lewis was of this opinion, I believe. He was a student of mythology, and not a scientist, though, so his bias would have been in exactly the opposite direction to any you may have. Bible authors believed Genesis to be history and they rejected myths and ‘cleverly invented stories’ (2 Peter 1:16). Bible authors believed Genesis to be history and they rejected myths and ‘cleverly invented stories’ (2 Peter 1:16). Eminent early exegetes like Josephus, medieval Jewish scholars, church fathers like Basil the Great, Reformers like Luther and Calvin, also all understood it to be historical. C.S. Lewis had strong words to say about modernists writing thousands of years later and far removed from the cultural context, yet claiming to understand the text better that those living much closer to the time and culture of the writings. He also came to reject evolution. Leading modern Bible scholars like RC Sproul and John MacArthur likewise reject the idea that Genesis is myth. C.S. Lewis had strong words to say about modernists writing thousands of years later and far removed from the cultural context, yet claiming to understand the text better that those living much closer to the time and culture of the writings. He also came to reject evolution. I don’t think a mythical reading of Genesis 1–11 in any way minimizes the truth/message of the story: that we are created by God, in his image, with a purpose and with love, but have distanced ourselves from him by sinning, and now live in a world that is marred by that distance from Him (and more). If you say that Genesis is a blending of fact and fiction, you then need to make a value judgment on which parts are which. You have listed what we might call the ‘theological’ bits as fact, but why are these the fact(s)? If you allow the text to contain fiction, why aren’t these bits part of the fiction also? And, once you allow any part of the biblical text to contain myth, where do you stop? Is heaven a myth? And hell? What about the forgiveness of sin through Christ’s death on the cross—is that a myth also? Why not? Nor do I think it betrays the idea that the Bible is “the word of God”, inspired, infallible etc. Once you allow any part of the biblical text to contain myth, where do you stop? Is heaven a myth? And hell? What about the forgiveness of sin through Christ’s death on the cross—is that a myth also? Why not? Is God omniscient or not? Did He know how the universe and Earth originated, as well as life? Assuredly so—He was the only witness. Did He know that some 6,000 years later atheists would dispute what Moses wrote about the geology, botany, astronomy, biology, anthropology, etc. in Genesis, and claim that everything happened by evolution over billions of years? Assuredly yes. Knowing this, did He inspire Moses to say that Creation took place in six days, and relatively recently? Yes, again. Each part of the Bible should be read, as best we can, with the attempt to understand the author’s intent/message. A myth conveys a message no less ambiguously to us than does a letter to a church 2000 years ago, and perhaps far more clearly than many an historical account. Well that’s debatable, and if it was the case, it would be so only if there was universal agreement over which part of an alleged myth was fact and which part was fiction. However, did you know that the Bible specifically warns Christians against believing myths? ‘Have nothing to do with godless myths and old wives tales … ’ (1 Timothy 4:7). ‘For the time will come when men will not put up with sound doctrine. Instead, to suit their own desires, they will gather around them a great number of teachers to say what their itching ears want to hear. They will turn their ears away from the truth and turn aside to myths’ (2 Timothy 4:3–4). ‘Therefore, rebuke them sharply, so that they will be sound in the faith, and will pay no attention to Jewish myths or to the commands of those who reject the truth’ (Titus 1:14). ‘We did not follow cleverly invented stories [same Greek word μυθος muthos] when we told you about the power and coming of the Lord Jesus Christ’ (2 Peter 1:16). The Lord Jesus Christ is the truth (John 14:6). … If God is the truth, why should we doubt His word? What does ‘postmodern truth-in-context’ have to do with anything? One is reminded of Pilate’s dilemma, ‘What is truth?’ (John 18:38). An adequate answer to Pilate’s question would be: the Lord Jesus Christ is the truth (John 14:6). He is also the ‘logos’ or the ‘Word’ who was with God in the beginning (John 1:1–3). He is also the Creator (John 1:3; Colossians 1:16; Hebrews 1:2). If God is the truth, why should we doubt His word? But is this a possibility you have thoughtfully considered? Yes, and rejected it for all of the reasons given above. It might make interpreting Genesis more difficult, especially if one is searching for a scientific account of how the earth began. How do you propose to share the Gospel with others and convince them that there is a Creator God to whom they must give account, if your theistic worldview about origins is similar to their atheistic worldview? But perhaps defending the literal account of creation is not the same (nor required for) defending the message of the Bible or the Christian Life? We do not claim that a person has to believe in a literal Genesis in order to be saved. See my article Do I have to Believe in a Literal Creation to be a Christian? In this I point out that two things are needed for someone to become a Christian, viz. faith in Christ and repentance for sin. But I then go on to point out that such a minimal belief system misses out on the full measure of what God has provided as the basis for our coming into a right relationship with Him, and being a witness for Him. Thus there is a slippery slope into unbelief that accompanies disbelieving any part of the Word of God. And how do you propose to share the Gospel with others and convince them that there is a Creator God to whom they must give account, if your theistic worldview about origins is similar to their atheistic worldview? ‘I have spoken to you of earthly things and you do not believe; how then will you believe if I speak of heavenly things?’ (John 3:12). You will recall that Jesus said to Nicodemus: ‘I have spoken to you of earthly things and you do not believe; how then will you believe if I speak of heavenly things?’ (John 3:12). And He also said: ‘If they do not listen to Moses and the Prophets, they will not be convinced even if someone rises from the dead’ (Luke 16:31). And indeed, if the past history recorded in the Bible is wrong, why should anyone heed what the Bible says about future history, such as: ‘It is appointed unto man to die once and after that comes judgment.’ (Hebrews 9:27)? This portion adapted from J. Sidlow Baxter, Explore the Book, Zondervan, Michigan, 1960, Vol. 1, pp. 27–29. Return to text.